WOW. This is my most anticipated read of 2015. If this is your first time coming across a Jessi Kirby book, then I hope you'll take a minute to discover her previous titles Moonglass, In Honor, and Golden -- all of which are among my favorite YA contemporaries. I have no doubt this next one will make that list as well. There is so much emotion lying in that description, that I just know her words will have a physical impact on me once again. I am so excited for this one, too! Golden was one of my favorite reads last year, and this sounds so so good. Plus the cover is adorable! Ginger, you always find the best contemps! <3 <3 I loved Golden and I feel like I'll love Things We Know By Heart as well. 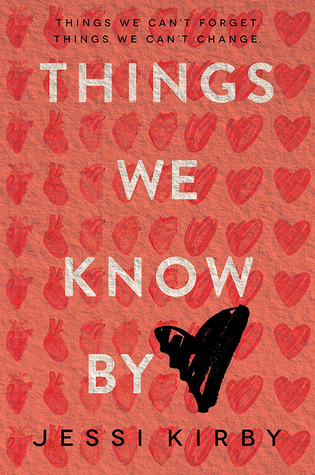 I love how the cover has repeating hearts that go from the organ heart to a drawn heart. Very clever! this sounds so good that i added it to my wishlist!